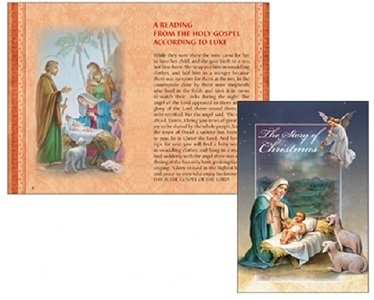 CATHOLIC GIFT SHOP LTD - Children's Small Book - The Story of Christmas. Children's Small Book - The Story of Christmas. Colour illustrated pocket sized novena booklets with beautiful Italian artwork throughout. 24 Pages 2 3/4" x 3 1/2"